I can’t remember exactly when the thought came to me, but I posted on Facebook something that although a bit pretentious was one of those things that absolutely had to be shared. I’m not one to brag, while sleeping, but I posted that I had just figured out how to open that little container of Yoplait yogurt without it squirting all over my shirt. Unfortunately, my favorite Yoplait, Harvest Peach, is not found in this picture. Yoplait had consistently squirted on t-shirts, dress shirts, ties, fingers, keyboards, desks, tables, important papers, super hero outfits and my bibs since partaking of my first Yoplait in the summer of 1989 at the age of 13 ½.
I tried for years to open the hair-thin aluminum lid with such care. But it was never good enough. There was so much air pressure in that thing that it would explode each time. The anxiety, embarrassment, shame and subsequent depression that never followed continued until I decided to devote considerable thought to the problem. After a slew of sleepless nights filled with notebooks, diagrams, and complicated pythagorean theorems I didn’t even understand, it came to me almost at once: I had to point the lid in the direction of either a trash can or the face of someone irritating, opening the product away from me. Apparently, that had been the secret all along. If only Yoplait had printed a warning label on the lid that the contents would explode regardless of altitude. Irregardless, I pat myself on the back each time I remember to open the lid the right way, cursing myself when I don’t and have to walk around with the blueberry Yoplait splatter of shame on my dress shirt the rest of the day. Since I made that discovery a year or two ago, I have given a lot more thought to Yoplait, as you will soon learn. I’ve noticed, for example, that the grocery store devotes a significant percentage of the yogurt shelf to the Yoplait brand, about 38%, in fact. Yoplait is always priced just a notch above the generic, with obvious Yoplait perks and amenities offered for mere pennies more than the greatly reduced inferior non-brand fortunate enough to share the store’s shelving beside it. This image is not representative of my claim that Yoplait takes up 38% of the yogurt space. 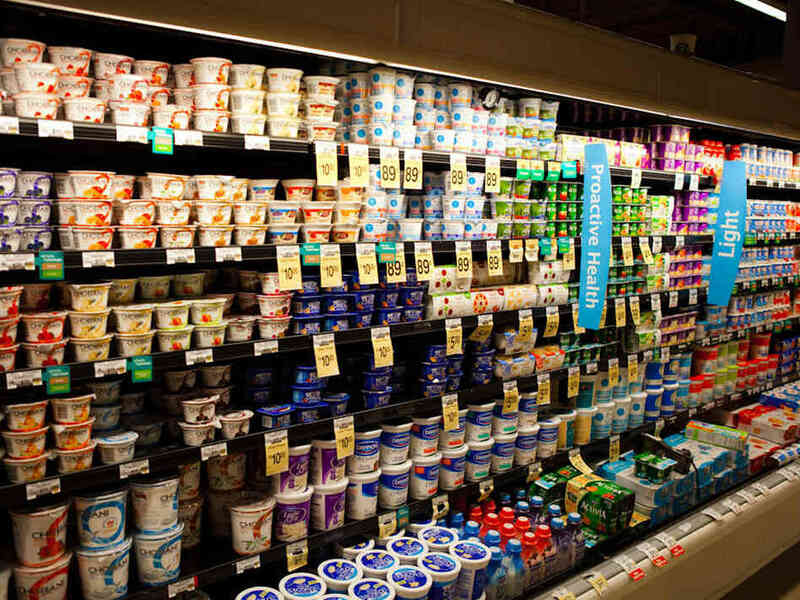 The next time you are in the grocery store, I want you to stop for a moment to admire the yogurt section. It is crazy for me to see how much of the store is made up of yogurt. We love yogurt. And Yoplait is the far and away leader of the yogurt industry. Your choice of yogurt for decades was either Yoplait or the inferior generic brand. Well actually, now there’s Greek yogurt. That stuff came out of nowhere! And I thought Greece was bankrupt! This is where Greek Yogurt was invented. It is the Greek Parthenon, and it has looked this way for a long, long time –––> Should Greek Yogurt be worried it will suffer a similar fate? I report. You decide. The brilliance in the Greek’s plan goes even deeper. The increased density of Greek yogurt guarantees one thing and one thing only: that there is no longer an air decompression issue such as the one we have experienced for decades with the more creamy, probiotic Yoplait. After all this, you might think Yoplait is through, finished. Oh boy, you couldn’t be more wrong. If you were about to give up on Yoplait forever, never fear. Yoplait still has the edge. Greek yogurt might be healthier, but, Yoplait has, well, keep reading. I don’t know of a particular Greek yogurt brand with an identifiable philanthropic bent, other than every Greek yogurt’s mission which is to give you your fill of casein protein. Without a cause, Greek yogurt’s only thing going for them is no lid to lick. Who licks the lid, anyway? I do. I’m a lid-licker. I mean, come on, I paid 80 cents for it! At least a dime’s worth of yogurt in that little tub is on the lid. The lid is yogurt’s appetizer. All I’m saying is, the lid looks harmless enough, but do we give some thought to the mailroom worker? Here’s the cold, cynical truth of the matter: When you have a product that ruins clothing because of a faulty part, which in this case is the lid, you have to have a good campaign using the same faulty lid. 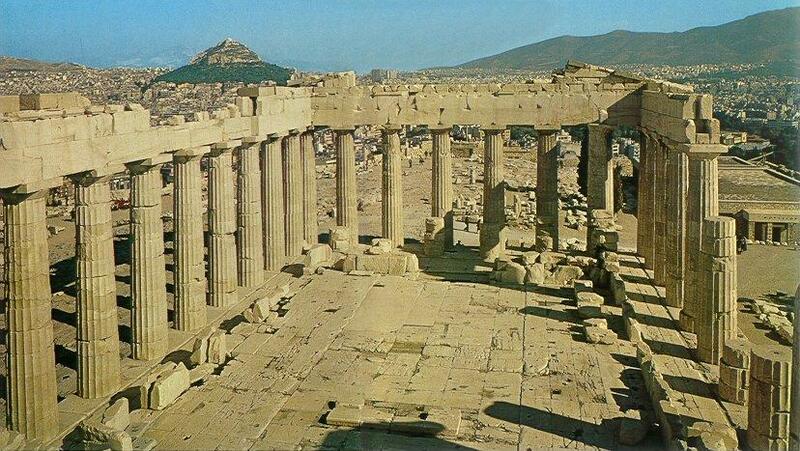 The “Save Lids to Save Lives” campaign for cancer awareness was the perfect solution, proving that not every good idea originates at the Parthenon. Greek yogurt wins silver. Yoplait wins gold. Only a jerk would get mad at a lid that’s saving mothers’ lives. I don’t want to bash the Save Lids program. But I will anyway. My problem isn’t that I don’t want to fight cancer. I DO. But I also have a heightened hygiene problem, as in, I don’t like germs and I seek to avoid them at all costs. To give you an example of my germophobia in practice, in a previous job I forged a path I called the “Germ Freeway.” As in, it was the Way that was Free of Germs. It involved trekking twice the distance to get from my office to the cafeteria, but there were no door handles involved, and therefore, no potential to brush fingers against the doorknobs of my non-handwashing colleagues, who chose to infect the more direct Germ Way and its five handled doors on the way to the café. In Yoplait’s case of lids, did they give any consideration to the mailroom staff? Like, let’s say I’m in the mailroom, and in comes package upon package of used Yoplait lids. Some of them were likely washed. Many, I would wager, were not. People are disgusting, I’ve come to find. So it’s safe to assume that many licked lids arrive to the mailroom even more laced with bacteria than ever before. This isn’t anthrax being delivered by an unsuspecting USPS –it’s colds, flus and mono. How much money would they have to pay me to open those lids? How much would it take? Not enough. Whatever it would be, I would be gagging all the way to the bank. Who mails in a licked lid, anyway? I mean, besides the person who wants to cure the world of cancer? The Yoplait mailroom must be a heavily sanitized corner of Royal Oak, Michigan. I really feel for the staff of that facility. I hope the mailroom boss is kind to them and gives them lots of handwashing and Vitamin C.
Think about it. “Yoplay,” isn’t as sophisticated. “Yoplay” sounds like a cellist meeting a British rock band. “Yoplait” is the ultimate in European sophistication. Which is why when it comes to yogurt, the kind that splatters all over creation but is cancer saving, colorful, with a silent “t” will always be on top. And after nearly 1,500 words, that’s all I can think of saying about yogurt. Sorry josh. I am a Greek yogurt girl.